My Dad loved his coffee strong and his food spicy enough to make him sweat. That’s what I remember a lot when I think of him. Waking up to the smell of strong black coffee permeating throughout the house, and that sting in your eyes when you get too close to something with a hell of a heat punch being cooked. Originally I’d planned to make a breakfast fish dish for Anguilla, but a few days ago marked 15 years since we lost my Dad, and I had an urge to make something with a bit of a kick, so jerk chicken it is. Anguilla is sometimes referred to as the culinary capitol of the Carribean. They use an abundance of seafood, plenty of poultry and goat and, of course, jerk chicken. Had I known just how difficult it is to make Carribean jerk chicken in NZ winter in pouring rain, I may have thought twice. Firstly, I’ve never eaten jerk chicken before. Or any Carribean dish for that matter. I have zero idea how it should taste. Just to complicate things further, jerk chicken, it seems, is one of those dishes that differs with every recipe. A few common ingredients came up a lot though. Allspice, nutmeg, oil, lime, onion, spring onion. That’s where everything fell apart. Having searched the internet, weird spice stores, farmers markets, call-outs on Facebook and twitter and sending chef friends to hunt, I’ve found that scotch bonnets aren’t something you can find in Auckland in winter (if anyone knows where they can be found, do let me know). I came close. Sunde Brothers sell them at Oratia markets, I was told. So, excited, I got in touch. They’d sold their last two a few days earlier. Try habaneros, they suggested. So I did. See the above process. Replace scotch bonnet with habanero. Welcome to my life. Google told me the next best thing would be Serrano - using twice the amount. It wouldn’t be the same, but it would be the next best thing. So the hunt continued. Finally I managed to track down dried Serrano at Huckleberry’s in New Lynn. They’re no scotch bonnet. But by this point I was desperate. A less stubborn, and perhaps smarter, person may have decided to switch dishes at this point. But it seems I’m neither of those things. Regardless, the pepper seemed to hit the back of the eyes, it smelled pretty good, so I set it aside to marinate overnight. The second issue came with pouring rain and a broken barbecue the following day. So, improvising again, I grilled the legs in the oven (maybe slightly too long …). It seemed … okay, though I’m pretty sure far from authentic. Threw together some cauliflower rice and a quick salad and was good to go. Also decided to use the pan juices with a little chicken broth to make a sauce. It looked pretty grim, but actually tasted great. Disappointingly, there was only a mild kick from the peppers. I think for sure it was missing the scotch bonnets. So much so that I’m thinking of attempting this one again when another Carribean country rolls around and the season works better. In terms of traditional Carribean jerk chicken, I think this one was definitely a failure. In terms of a really tasty dish with a mild kick, most definitely a success. Dad totally would have been reaching for the hot sauce though. In World of Food, Amberleigh Jack is cooking a dish from every country in the world, partly as a way of confronting food anxiety, partly because mmmmmm. One at a time, in alphabetical order. Disappointingly, there was only a mild kick from the peppers. Ha, yeah, Serrano peppers won't send you into orbit. You'd have been better off with maybe fresh Thai birdseye chillis – cheap at Avondale Markets, less cheap but available with various other varieties (although maybe not out of season) at Farro. 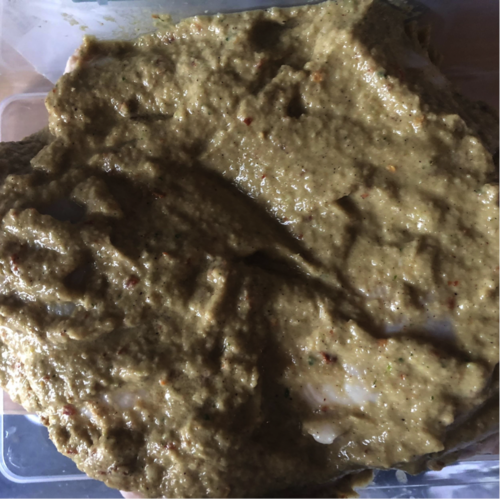 I've had a couple of mediocre results with jerk chicken – I think it's harder than it seems to get right, and under-doing the chilli and seasonings is generally a mistake. You've just got to go for it, I suspect. Also, the classic way of cooking is in a modified steel drum, so the marinade drips off and you're basically smoking the meat in the fume it makes when it hits the coals (or the gas burners). 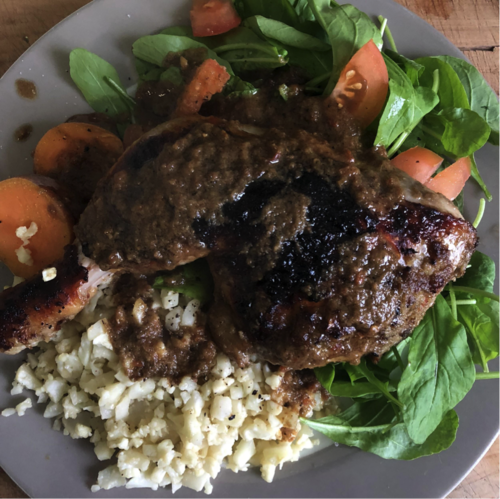 I've yet to make jerk chicken that tastes like what I bought when I went back to Brixton a couple of years ago, with a nuclear-grade fruit sauce on the side. Not, I hasten to add, that I am suggesting that your result looks mediocre. I would totally have eaten that! Edit: but your 1st pic looks totally like the versions I've eaten! You'd have been better off with maybe fresh Thai birdseye chillis – cheap at Avondale Markets, less cheap but available with various other varieties (although maybe not out of season) at Farro. IMHE these freeze beautifully, making them a nice candidate for container growing if your gardening options are limited. While they turn squishy when thawed they seem otherwise unimpaired by freezing. They can be easily cleaned by slicing them lengthwise while still hard frozen and stripping the seeds out. Scotch Bonnet seeds are available and you may find small plants for sale at the local garden shop and on Trade Me. An alternative is marinating with the Encona Hot Pepper Sauce one of which is made from a mix of Habanero and Scotch Bonnet Peppers. The nuclear grade Carolina Reaper has a similar taste but you'll need a hazmat suit and medical insurance. I think you're being too hard on yourself. It looks appealing to me. I’m totally new to the whole chilli thing - always hated spicy food until a couple of years ago - now I love it! The dish definitely tasted amazing, and the marinade is going to be a go-to from now on, but yep - I imagine not what jerk chicken should be. Habeneros work fine as a substitute for scotch bonnets. I've grown both for several years and have found that scotch bonnets grow well in Auckland but don't seem to get the heat in them for some reason. I make several batches of jerk seasoning in the autumn when my chillis are in seaon then freeze them for later use. The chillis alway seem to come on in early autumn just in time for the end of barbeque season and jerk is best on a smoky grill rather than a fry pan. This year I have done some batches with my homegrown Carolina reapers for that extra kick. 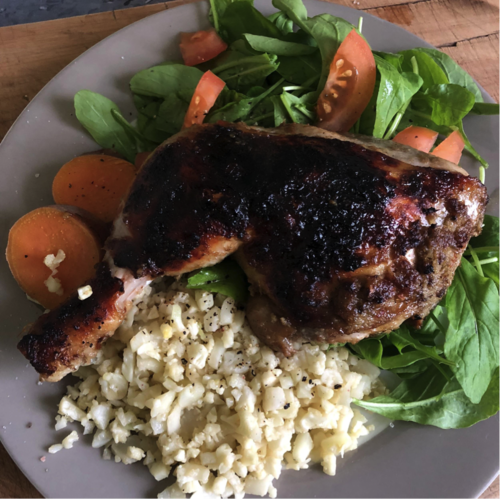 My experiences with jerk chicken also look pretty unappealing - it's just one of those homey dishes that taste better than they look. 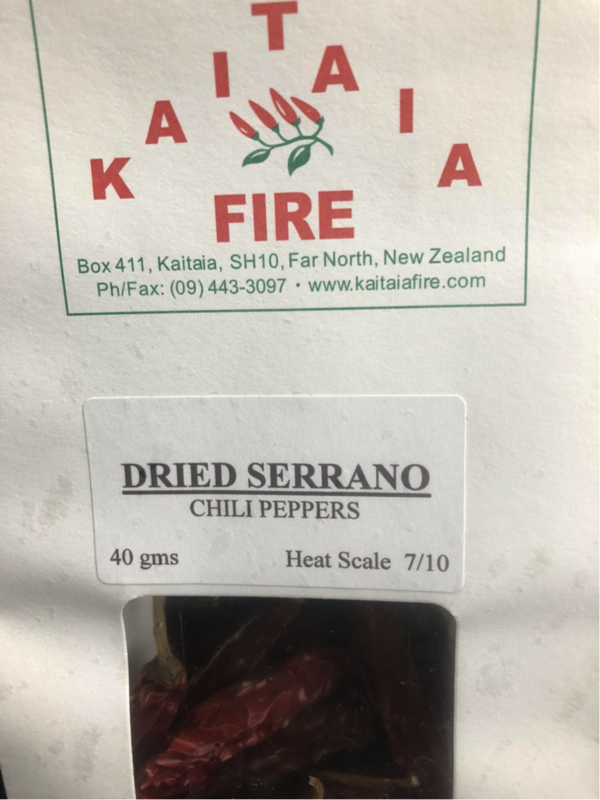 I don't think you need scotch bonnets - yes if you eat chili peppers a lot you get habituated to the heat, habeneros would be fine and give the same flavour. I don't think birds eye chilies have the same flavour, they have the heat though so you could mix and match. Freezing chili works fine, they also last quite a long time in the fridge BUT beware they build up capsaicin in the fridge and can get a LOT hotter than when used fresh or dried.